and Wednesday, September 7. A letter will be details regarding the event will be sent home during the first week; however, the specific times for each class are listed below. Spirit wear is great for Field Trips! If you are looking for more clothes to fill your closet, Spirit Wear will be on sale at these events - so stock up on T-Shirts and show your support for Middle Gate! Teachers love when kids wear Middle Gate T-Shirts and Sweatshirts when going on school field trips. It helps show pride for their school, and easily identifies them. Calling all Volunteers, please come to our Volunteer Orientation in the library on Thursday 9/8 from 9:30-10:30. The first part will review safety procedures and is for all volunteers while the second half is targeted to Library Volunteers. We welcome all PTA Members to the start of a new wonderful year at Middle Gate and let's celebrate with our annual Ice Cream Social! Ice Cream, fun toppings, whipped cream and friends! Get together and see your old classmates together again - or make a new friend and welcome someone new to the school! Always a favorite event. And remember, if you are a PTA Member, it is free! included below in this newsletter. We sent home PTA membership forms for you to complete and send back to the school. Your PTA Membership fee helps to support PTA programs and events for the school that otherwise could not happen. If you want to give your support, but feel you are unable to volunteer, this is one of the easiest ways for you to support Middle Gate. Plus you get bonuses for being a member like the School Directory, and Free entry to the Ice Cream Social! Don't forget to send in your membership! Sign-up For Events - Every Minute Counts! We have lots of events this year that wouldn't be as wonderful without the support of all the parent volunteers that help make them happen. If you can only pick a few hours, one event or three events, every minute of time you give us helps provide fun and engaging activities for the students of Middle Gate. If you want to see the list of planned events and tasks, and sign up for something that interests you, please print, complete and send in the form to the school in an envelope marked "PTA Volunteer Interest Form"
INFOSNAP: If you have not already done so, please update your INFOSNAP online information for returning students as soon as possible. It is critical that we have accurate and current information for all students and their families. If you have any questions, please contact the office. Select the InfoSnap Student Registration Icon on the left side for 2016-2017. New this year is a Google Calendar that you can link and synch up to with your own calendar. Never forget or miss another Middle Gate PTA event - or double book your calendar! If you don't want to synch up the Google Calendar - there are also printable Calendar and List of Events documents in the Mark Your Calendars section at the top of the newsletter. 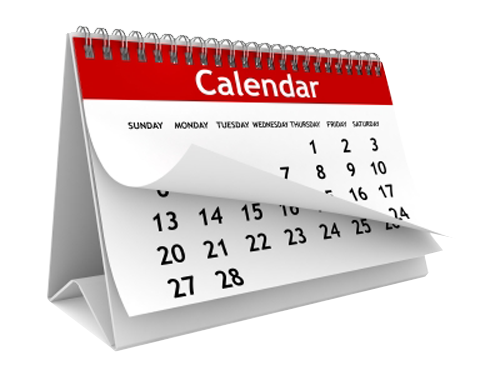 The Calendar view will give you dates and time throughout the year, the List of events will show more detailed information about the event, as it comes available. These will be updated every newletter as events update and change. As you may have noticed on campus, a "road" has been paved to provide access to our lower parking lot. The purpose of this new access way is to support the student drop off process. This process will not be in place for day one; however, we want to make you aware of this change. 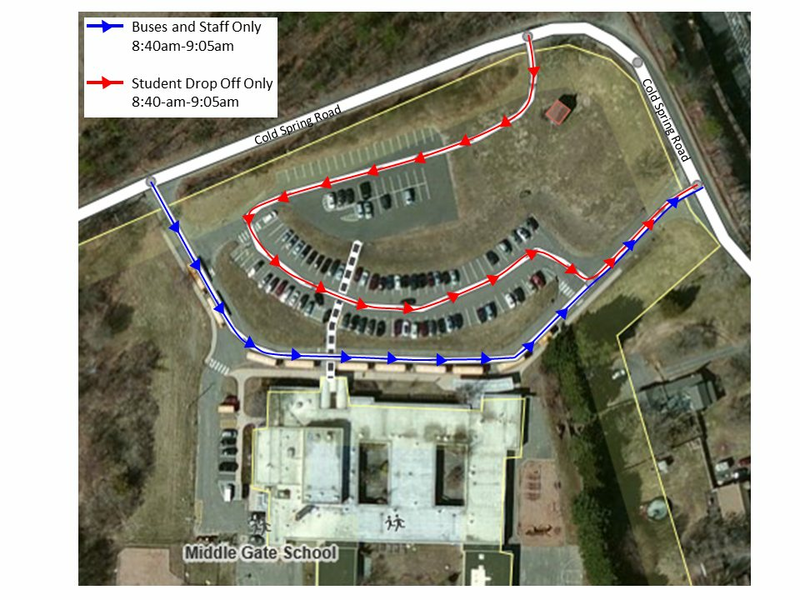 Here is a document from Mr. Geissler about the new drop-off route including the image below. You will continue to receive notices about the new route and when it will begin operation. 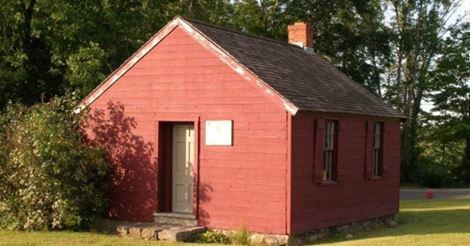 We will be needing volunteers and chair-people to start learning some of the events and activities that the PTA hosts. While we are excited that our children grow, and sad to see them move on to the upper schools, those families who have been our great support system move along as well. 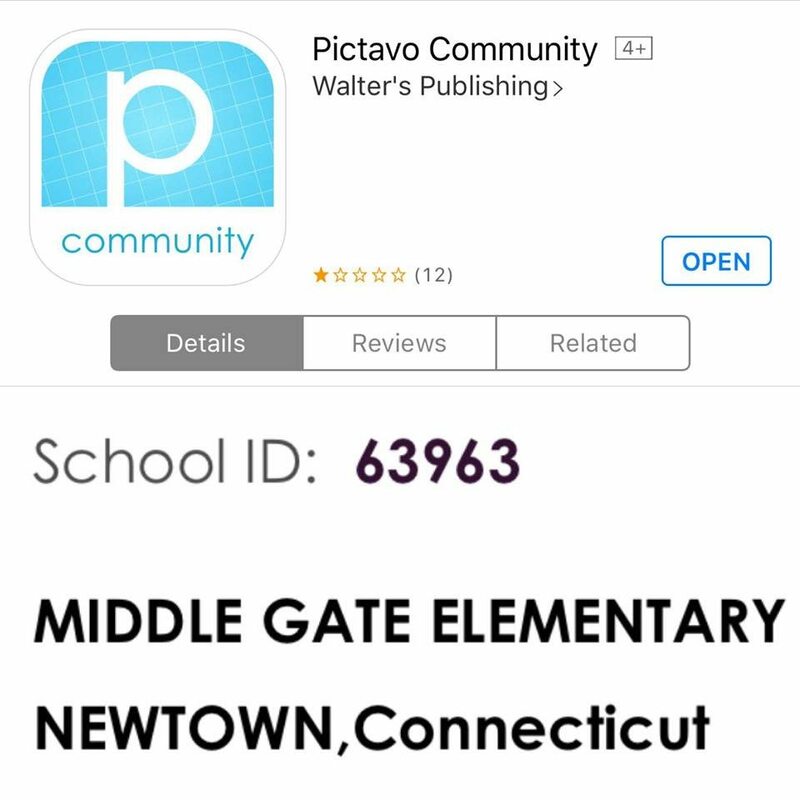 This is the perfect time if your child is just entering Middle Gate in Kindergarten - or if you are new to the school - to get involved and learn from the veterans who have been doing it in the past. We are starting something new in this school year! We are starting up a Men's Club for all the Dads and Guardians at Middle Gate to do some activities with the kids. Why should the Moms have all the fun? Also, this is a requirement by the CT PTA to be named a "school of excellence". Wouldn't it be great if we can add that award to the long list of awards we already won? This club will be chaired by Gregg Baimel. They will have some activities to plan so there is more information to come on that! Contact greggbb@gmail.com if you are interested. MG Weekly editor reserves the right to edit all submissions. All submissions due the Friday before the next newsletter publication date.